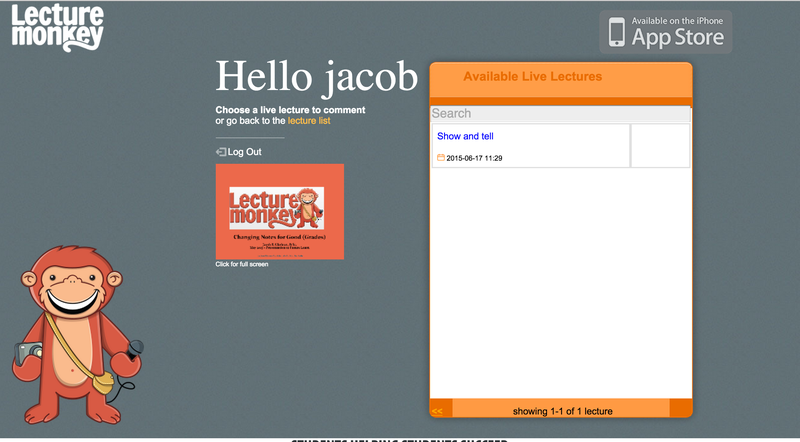 The big news about version 4.8 is the ability to present a lecture on the web in full screen while its is being recorded. 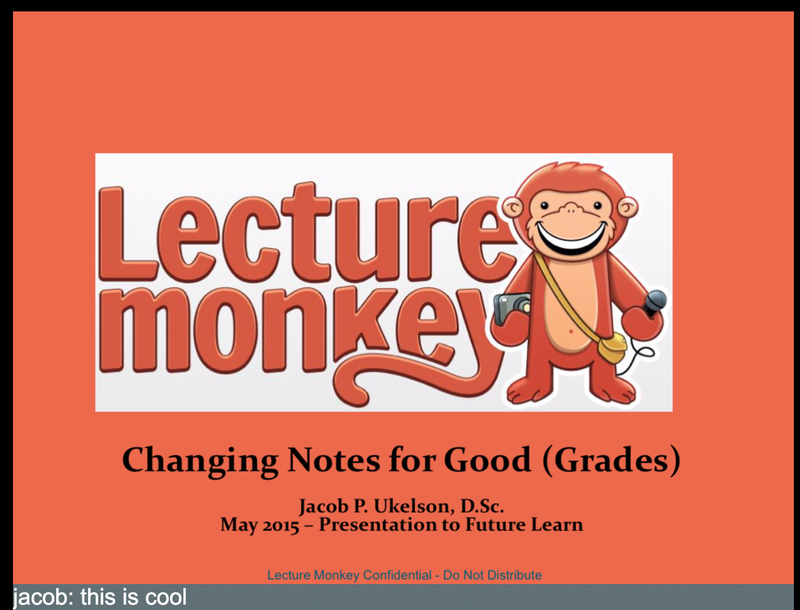 This is an amazing tool for teachers to use to help their students take better notes and learn more. Students will have a fully documented collaborative recording of the lecture as it was presented, along with class comments and shared images. As studies show this kind of on-subject interaction during class helps students learn better. Even better – it creates a multimedia document that makes it super easy for students to review before exams. 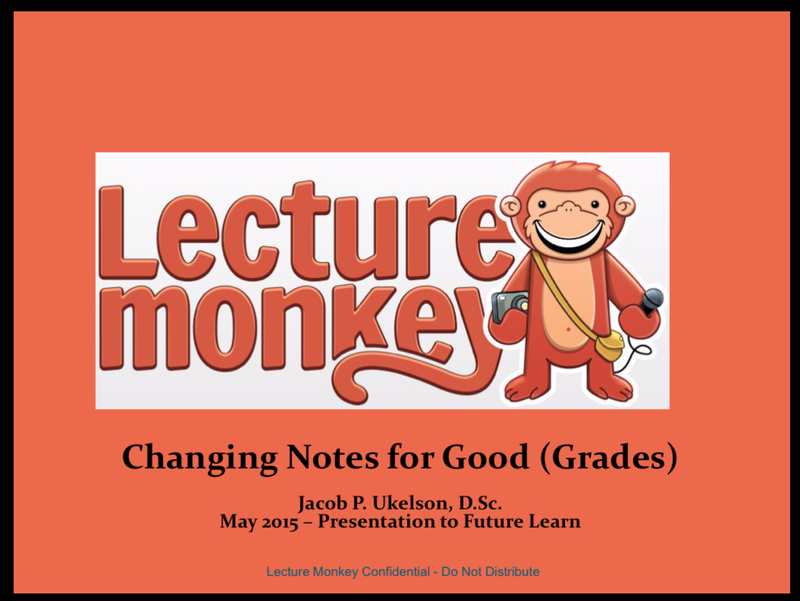 Once in class, get the PDF for the lecture (as described in a previous post Cool new Capture Features in Version 3.7.0). 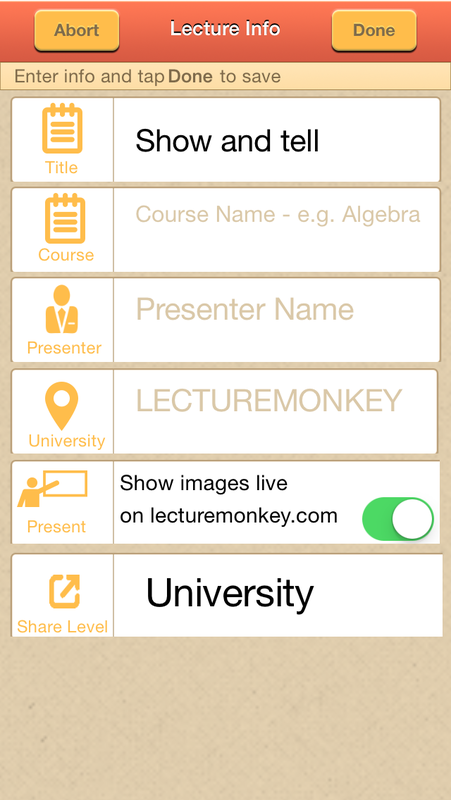 If you have used LectureMonkey before, you’ll notice a new field when filling out the details for the lecture “show images live on lecturemonkey.com” – this is what enables presentation on the web. It is activated by default in capture mode. Click on the thumbnail to go to fullscreen:, so the whole class can see. The iPhone is now a presentation clicker, when you advance an image on the phone – it will automatically change on the web as well! Thats it – all you need is your iPhone and a computer connected to a projector with internet access – which exists in almost any classroom. No special equipment or additional hassle – just a simple way for anyone to help their students get better grades. This entry was posted in 2. News, 3. General, Blog, Recording Guide. Bookmark the permalink.